Round 2 and it’s fury will be unleashed on the northeast tonight! I just want to first point out what I think might be a little bit of overselling on the part of accuweather about the snow tonight! I know the storm is gonna be bad, but 1-3 feet per hour still seems a bit excessive! We have reports of thundersnow from areas just outside of D.C. all the way up into parts of Pennsylvania. That is going to continue to produce bands of very intense snow and I think as an average along the 95 corridor, you are going to be looking at an additional 6 inches of snow from part 2 into the evening hours. 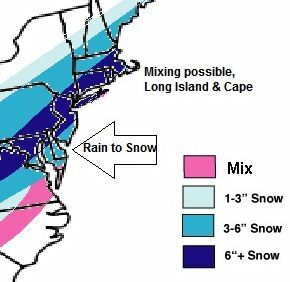 I like my snow map from last night, I feel it really ended up doing very well so far for this storm and it’s about what I expect by the time everything tapers off. As I said, it’s a general 6-8 inch average and where those bands set up later this evening will be where we could easily end up seeing totals excede a foot. I announced this on facebook last night to stop paying attention to the models and look at what is actually happening with the storm. Too often people get blindsided by computer predictions. Remember that in the very short term, your going by data that has been crunched in the computers that is 2-4 hours old by the time you get the returns. Follow the radar and surface observations and watch this storm in action. 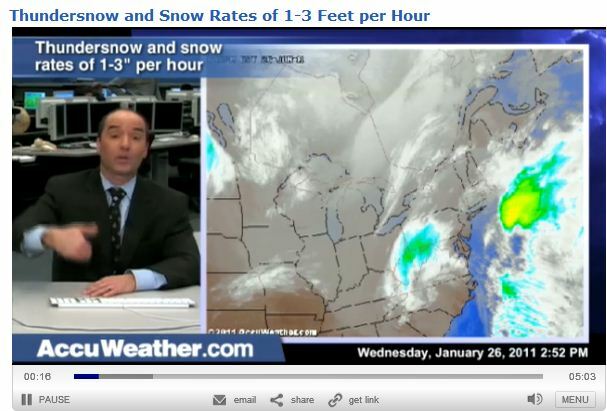 There is a lot that can be learned from these weather patterns. One thing to watch overnight is the strong convection that is causing thunder to develop in the snow bands. This stuff is really incredible. And this picture from the beach in Connecticut is incredible as well. 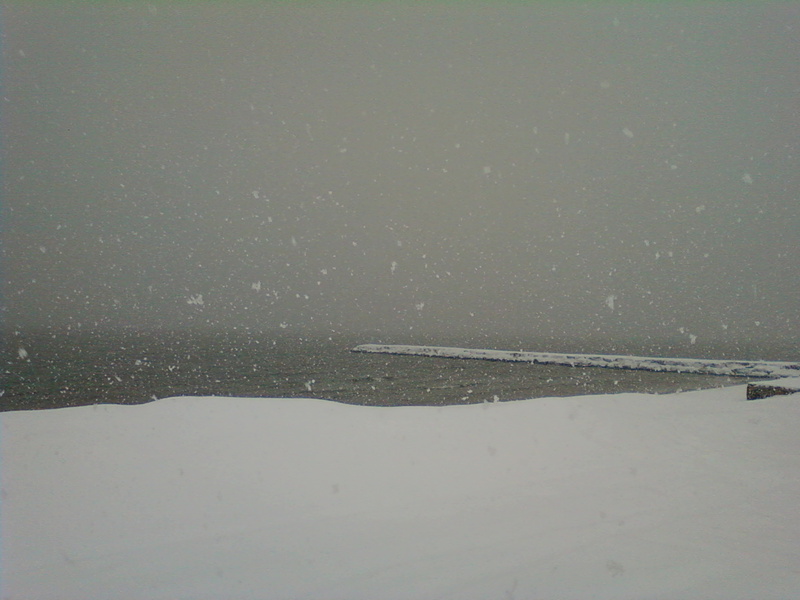 This entry was posted in Uncategorized and tagged accuweather, connecticut, new york, snow, storm, weather, winter. Bookmark the permalink.